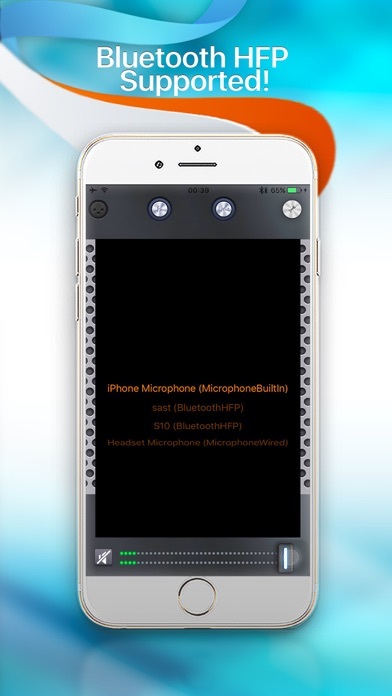 Turn your iPhone into a microphone for presentations, speeches and more! 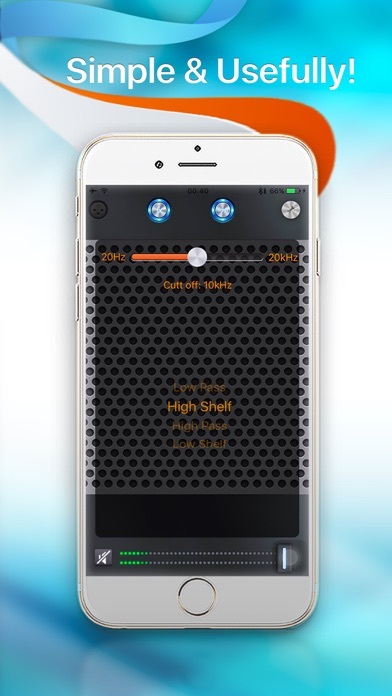 Easily connect to Bluetooth, use a plug-in microphone or go ahead with the built in microphone. Output your signal via Bluetooth HFP, Apple TV (some AirPlay) or direct out (earphone connector). Choose what serves you best! With Air Microphone, you have a small yet powerful toolbox for any Power Point presentation, instant speech, conference and more right in your pocket! The new Limiter serves as automatic problem solver by cutting excessive peak levels, built-in shelving filters allow to cut off unwanted noise or boost important frequencies. Air Microphone is the ultimate and easy to use fallback solution for speeches, presentations and more. For any situation where you need to be heard, grab your iPhone or iPad and connect it to Apple TV or Bluetooth. The setup is quick and easy. It is a straight forward procedure as to expect from Apple TV. Fast and reliable - no unnecessary hassle when you are under pressure anyway. There is not much you can do wrong with Air Microphone. Easy and hassle free setup - extremely important when you are in a hurry anyway after everything else has failed! Here are a few hints that always apply when working with microphones and acoustics. Read this carefully, it's a good thing to know anyway! • Adjust the volume with the slider. Be loud enough to be understood, but not as loud to create feedback. Keep in mind: the louder you are, the bigger the chance of feedback occurring! • In case of Feedback, reduce the volume with the slider. • Do not stand in front of the speaker with the Microphone. Feedback will occur when the sound from the loudspeaker travels directly into the microphone. • Adjust positions of loudspeakers and microphone to find the best working solution. Placement of both loudspeakers and microphone has a big impact on sound quality! The Air Microphone app does not replace a professional setup. But it costs much less and the setup is much faster. And more important: you carry your iPhone with you anyway! It even comes with an equalizer to make some rough adjustments. And while you are at it, why don’t you share a picture or two since you are connected to AppleTV anyway! You can do that with Air Microphone. Get the Air Microphone app now. Who knows when you will hold the next emergency speech! Drop us a line for feedback and suggestions, we like to hear from you! And if you like this app, a good rating is always welcome.